In Ye Old Sandwich Shoppe, players get to go back to the good old days to when sandwiches were first created. Run successful sandwich shops. Make some pence and the people of the town happy and with full tummies. 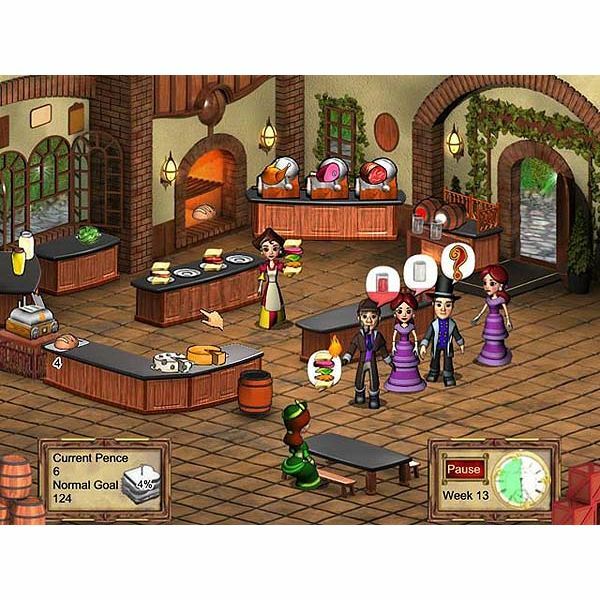 This time management game offers a variety of food items, customer personalities and multiple upgrades. Each level of the game represents a week of work. You will need to earn a specific amount of pence (money) in order to move forward in the game. Sandwiches require a bit of preparation. First, bread will need to be baked in the oven. Click on the oven to start a loaf of bread. Once completed, click on the bread and then click on the counter to set it down. As customers arrive and order sandwiches, click on the bread (up to two at a time) and then click on the sandwich making counter. Prepare the sandwich by clicking on the appropriate meat to slice. When you have the meat, click on the sandwich counter to place the meat in the bread. Cheese and lettuce are other items that may be requested. Add items like these by clicking on them and then clicking on the appropriate sandwich. Click on the completed sandwich and then click on the customer to deliver it. The customer will then leave money on the counter. Click on it to collect it. In between game levels, upgrades can be purchased to improve the shop and to help with customer patience. There are 48 levels in Ye Old Sandwich Shoppe. Win the game after you have successfully completed all of them in Timed or Untimed mode of play. Prepare extra bread to save time. You can stack multiple loaves on the bread counter to store them. Another time saver is to place sliced bread on to the sandwich counter. At the beginning of the game, you can only place three at a time. When you can, purchase the upgrade to increase the sandwich counter space to four. Use condiments on sandwiches to increase your money profits. In earlier levels of the game, only mayonnaise is available. Mustard can be purchased later through the upgrade shop. Prepare drinks ahead of time before customers arrive and as they are being dispensed. Watch out for thieves who will try to steal money or sandwiches from the counter. Click on the thief to catch them in the act and stop their actions. Customers that display a question mark icon will take any kind of sandwich. When customers drop five coins, a “happy time” button can be pressed which will increase your profits temporarily. Right clicking with the mouse will remove the last task you did. 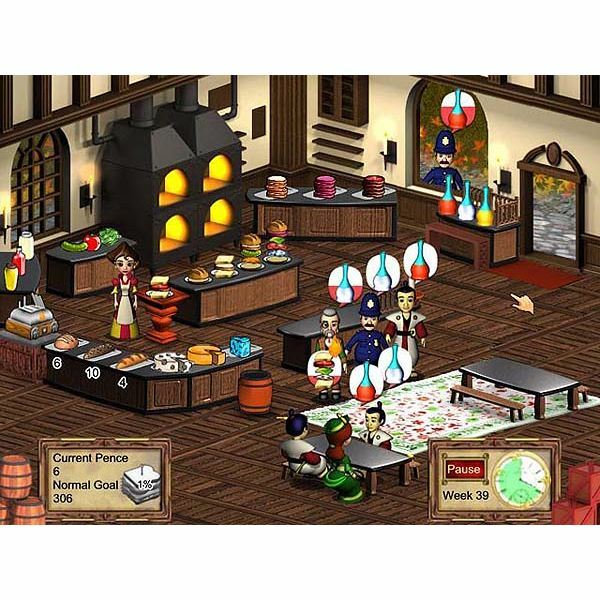 *Screenshot images for the Ye Olde Sandwich Shoppe were created by Sheila Robinson.